In a frigid environment, your skin and the tissue just below can start to freeze and crystallize in as little as a few minutes. 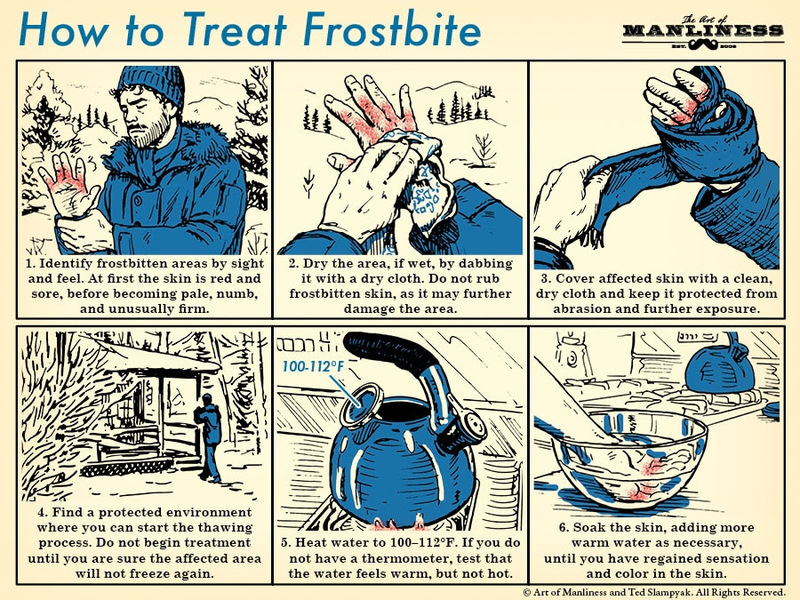 This condition is called frostbite, and it’s no minor matter, but rather a serious injury which can permanently affect your appendages. Knowing how to properly treat it can mean the difference between a sore hand and an amputated one. Your first course of action should always be to call 911 or to get yourself to a hospital. The damage may run deeper than you can visually assess. In the meantime, follow the steps above to do your best to ensure that no lasting tissue damage occurs.